In 2016, the VCFe Switzerland moved to a new location in Zurich. The Rote Fabrik cultural center gives us plenty of space for exhibits, but also an on-site restaurant, drinks foyer, comfy relax corner (important) and presentation room. Here is the main layout (click to zoom in). 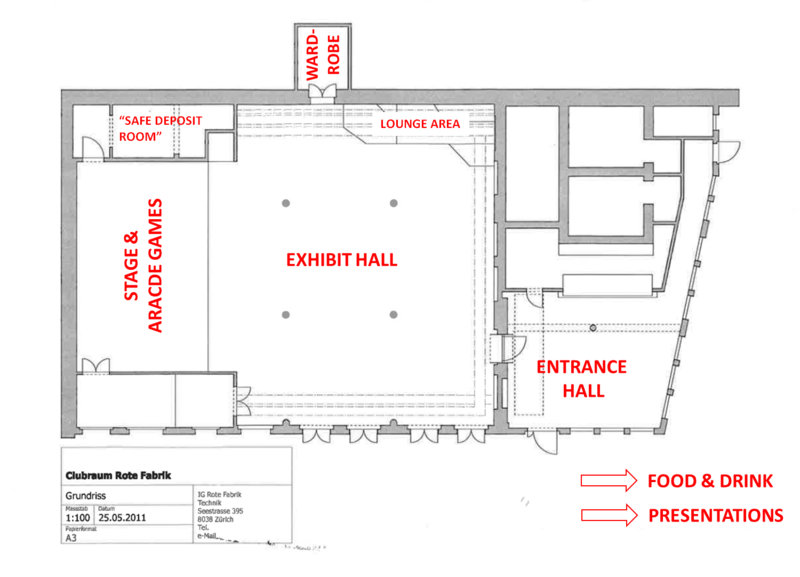 As time progresses, we will add exhibit tables to the map with more detail.